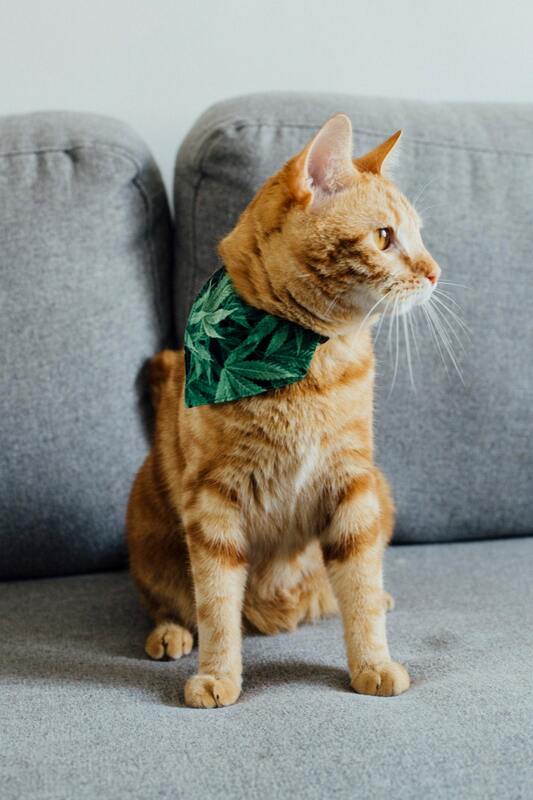 This Marijuana cat bandana is hand-sewn in a beautiful cannabis leaves fabric. 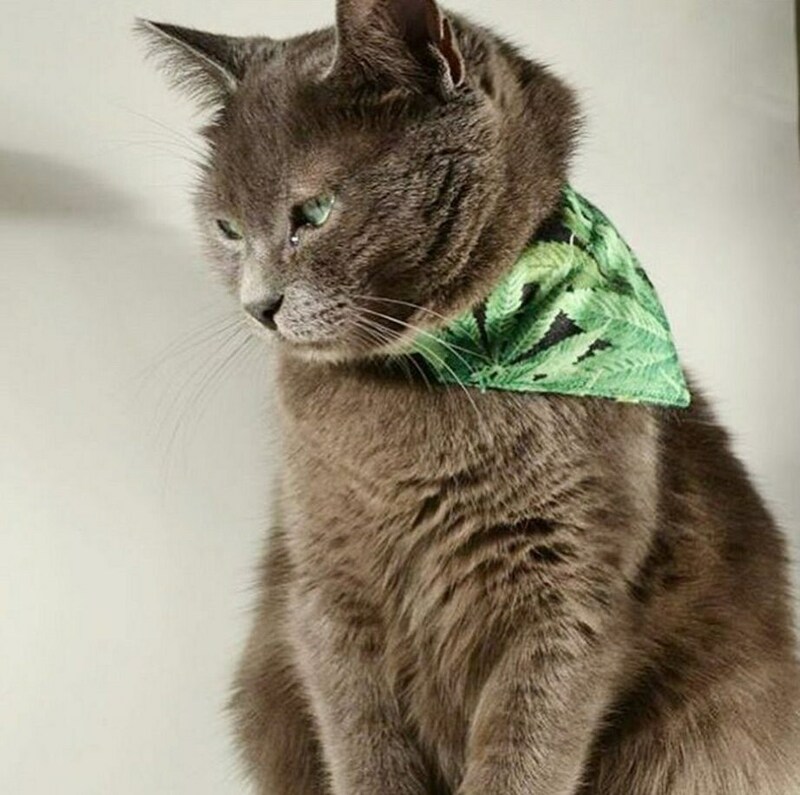 This removable bandana can be slipped on any 3/8" (1 cm) wide cat collar. Bought this as a gift and my friend loved it! 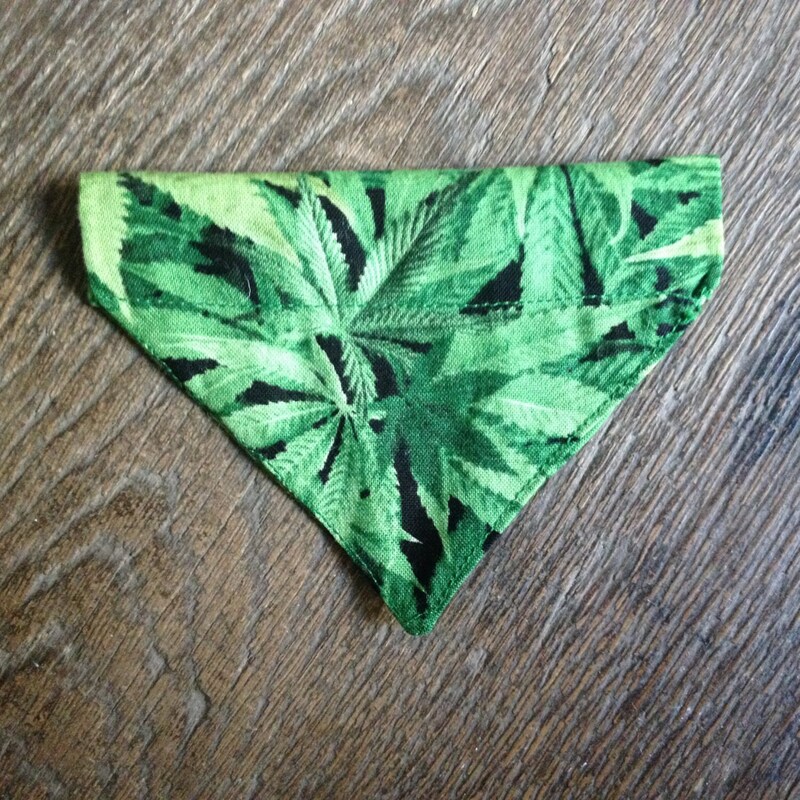 Love these bandanas!!! 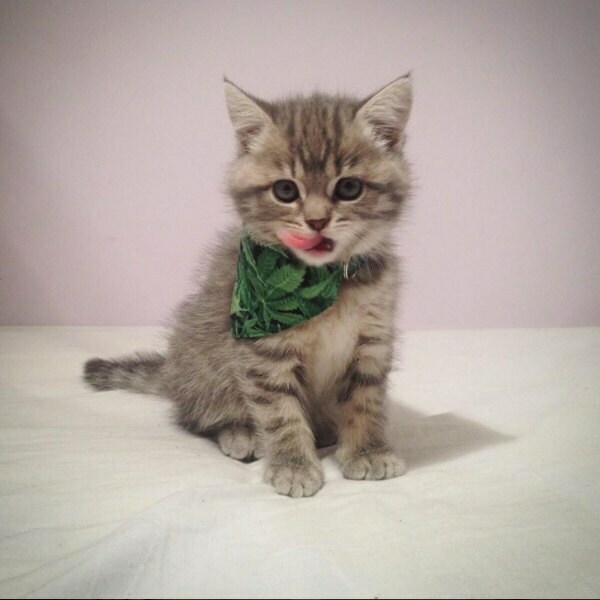 They’re soooo cute and fit perfectly over a collar. 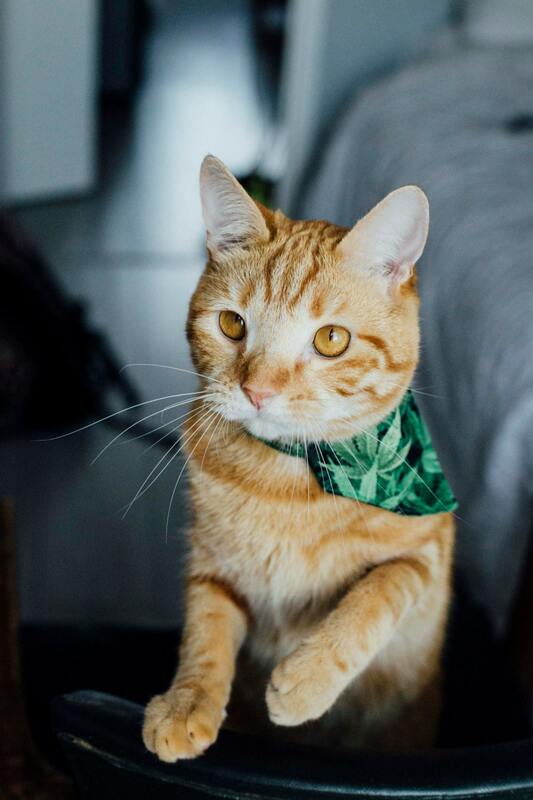 Smooth transaction, prompt shipment, plus amazing little handkerchief collar - thank you!